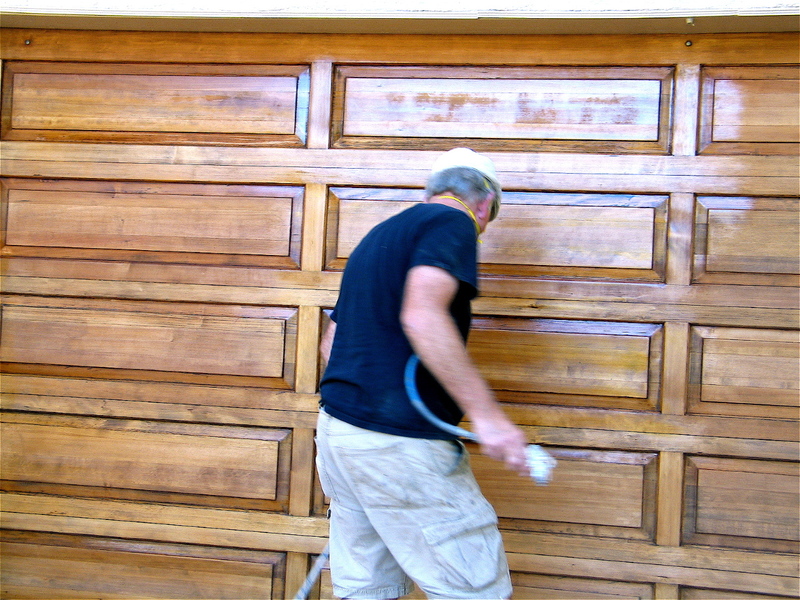 Jody Toole, Master and owner of Jody Toole Finishing has sent me a write up of finishing a wooden garage door in Malibu, he needed and exterior grade urethane that would stand up against the weather, Sun and salt sea air that constantly pounds the wood in that area. While I have Water base urethane that are very good he didn’t need a water based material as it was out sided where the smells would not be and issue, further he need something that would dry fast and hard so as not to collect dust in the process of drying. #1- Follow the directions explicitly! this product that is exactly what I did. spray machine, replace the line, tip and etc. and it was “run city”. click on the link at the bottom of this post. 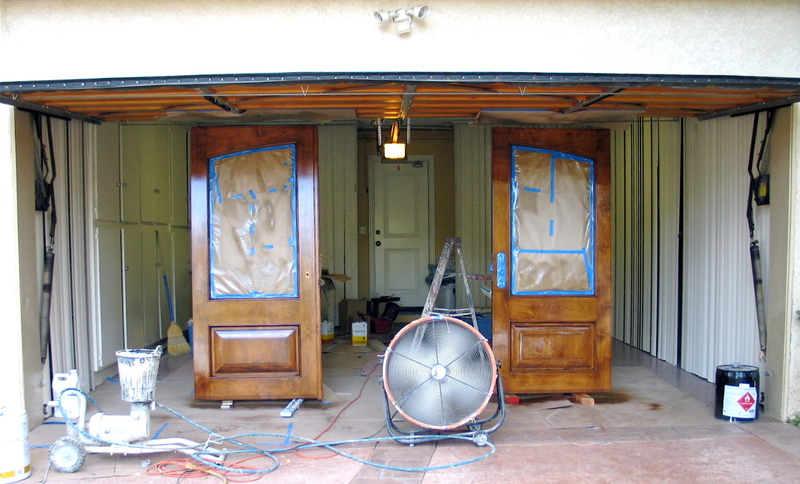 I have seen consistent very good work from Jody and would recommend him as a finisher. 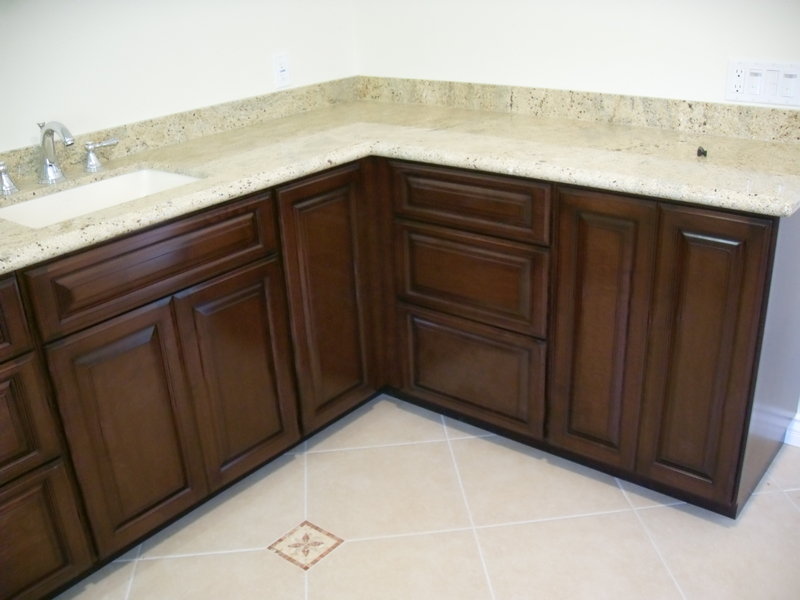 Jack Yekikan, the owner of J.P. Cabinets and design, took the plunge and has moved his finishing operation into the using water based products. After attending one of our waterbased seminars he came to me and said “I want the bet of the best you have in water based finsihes, I want to offer my clientell a superior product that is envirometally friendly and yet is as good or better than conventional lacquer or conversion varnish”. So we set to work at getting he and his finishing crew trained up on using water based materials, It is simple but there are a few things you have to do a little differently, for one you have to use a larger tip size on your spray gun and as well you have to adjust for the drying times being a little longer. That being done we they started out on a relitivaly small application that was simple and straigh foreward. 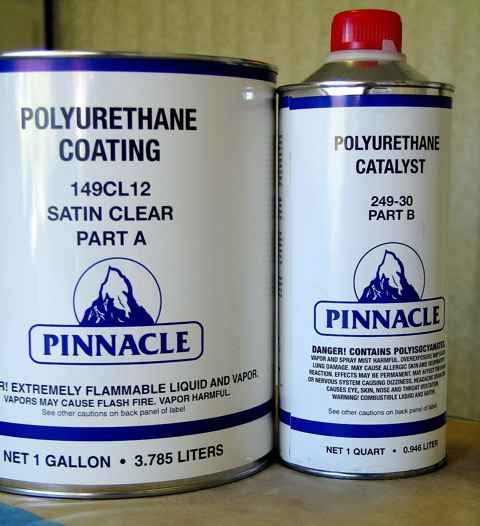 They began using the Renner YL-1150- 00 sealer and the Renner YO-1245 premiun top coat with an additional catylist which made it harder than a pre-catylized lacquer and more water resistant than a conversion varnish. That work out well and the customers were very happy with the work. 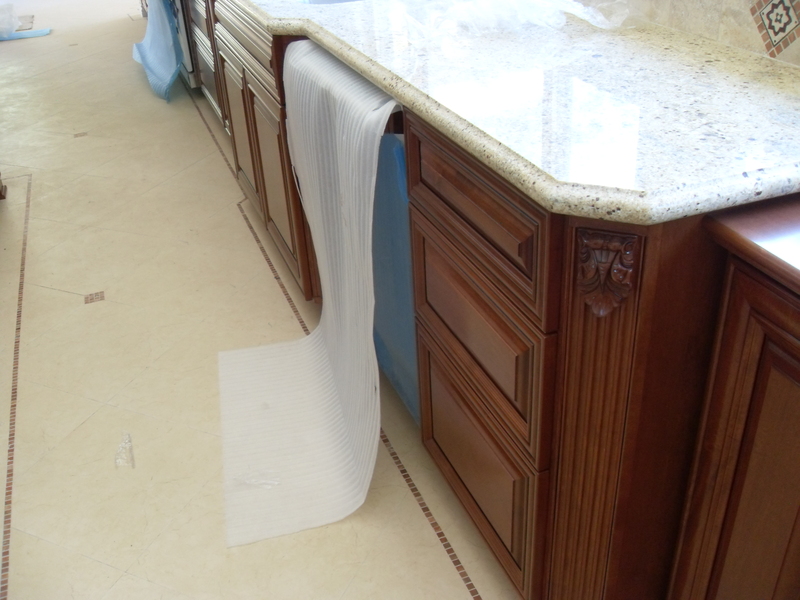 The pictures I have here, are of some of the cabintery installed in the house but the house still under construction. with permission from the owner of the house we’ll hopefully be able to take a few professional pictures of the cabinetry once all the work is done and the house has been occupied. If you are interested in getting help moving your shop into water based materials feel free to contact me, If you are in the Los Angelse I’ll come over to your shop and spray out the different coating so you can get familiure with them. 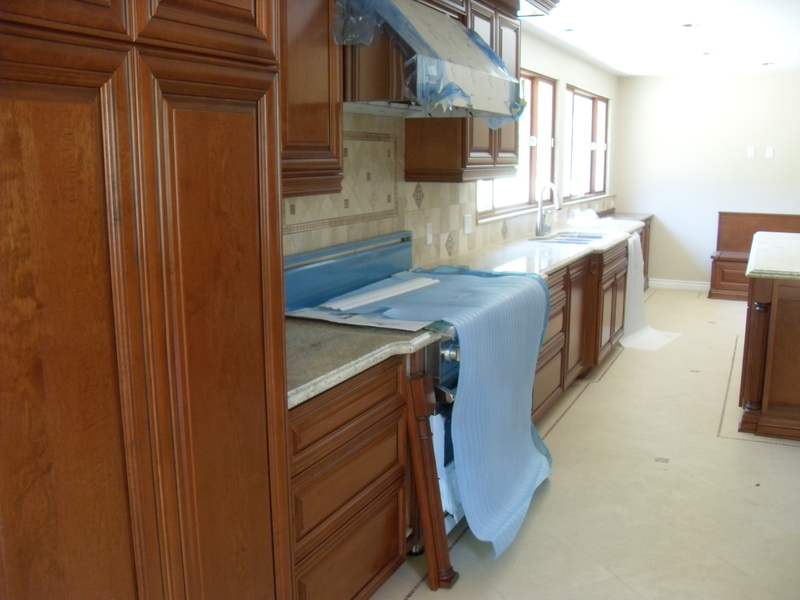 FYI: I have to say, I was very impressed with both the cabinetry work and the finsihing J.P. Cabinets does.